The Azienda Agraria Fiorini has a long distinguished history of wine and olive oil making, it was founded in 1900 by Luigi Fiorini near Barchi in the Urbino and Pesaro province of the region of Le Marche. 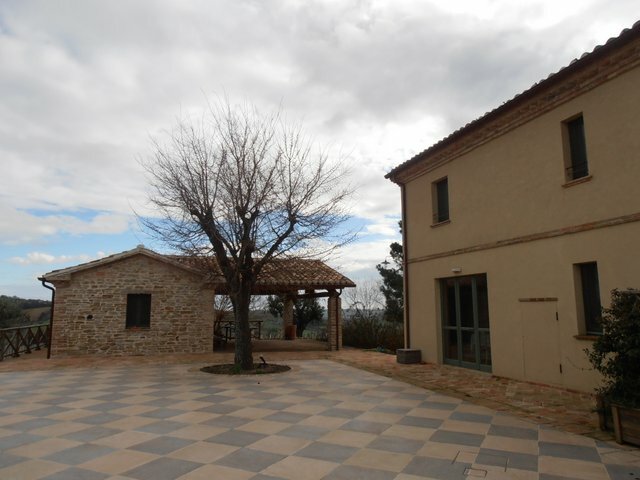 The winery has become one of the most trusted names in wine production in the Marche region and the present generation of the Fiorini family are proud of the high quality wines and olive oil that the company is famous for producing. At present there are over 100 hectares of land under cultivation at a height of 350 metres with over 42 hectares given over to vines, their position between the Apennine mountains and the Adriatic sea is perfect for growing both vines and olives. 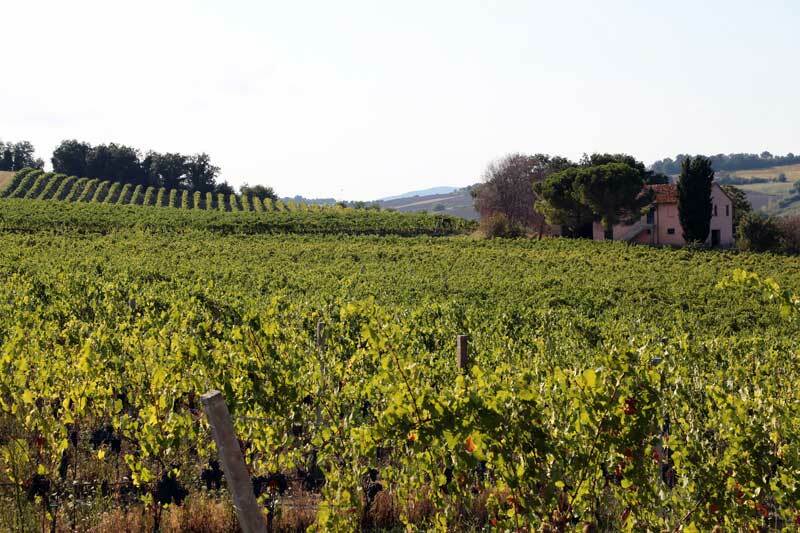 The Fiorini family produce three white wines and three red wines, a sparkling exrta dry spumante and a sweet white wine at their estate near Barchi. They have a thriving export business and currently Fiorini wines are available in many countries across the world including Germany, Holland, Australia, United States and Denmark. 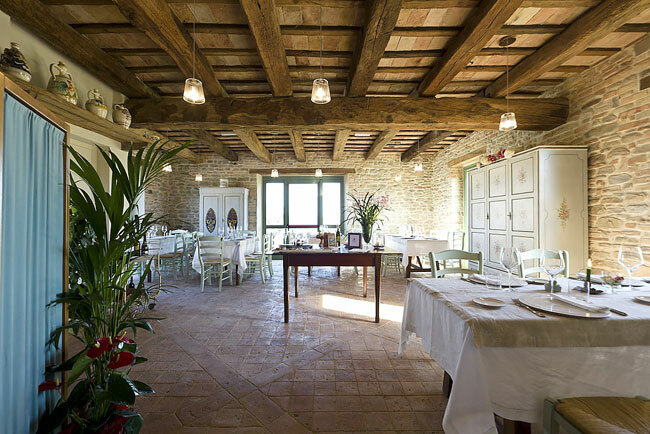 The wines produced by Fiorini include several award winning wines including the superb Bianchello DOC and tastings of a selection of the families wines are available to clients, guests and members of the public in the cellars of the winery. 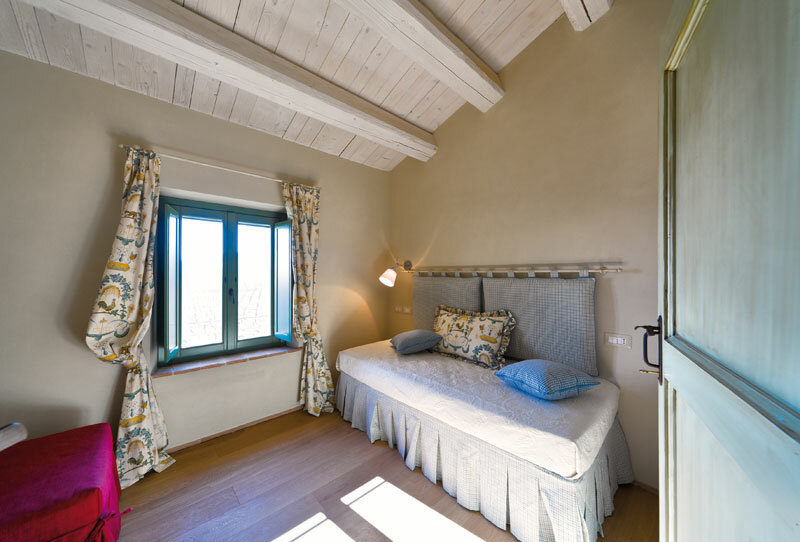 The Strada dei Campioli Agritourism Centre is an oasis of relaxation and an ideal meeting point between the fascinations of nature, culture and the traditional treasures of the Montefeltro region. 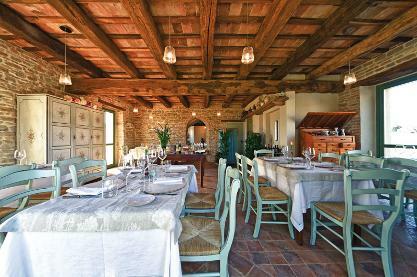 Located on the Campioli Estate, the centre was reconstructed from an early 20th-century ruin, with an annexe destined for the installation of an olive mill for the seven hectares of olive groves owned by the same company. During reconstruction, special consideration was given to preserving the structure's original features, like the old brickwork floors and the ceilings with wooden beams.The furnishings are a perfect match for the importance of the building. Great attention has been dedicated to all interior details, reflecting the class and noble history of the Fiorini family. The rooms, the restaurant, the splendid panoramic terrace and the enchanting gardens around the house guarantee the absolute pleasure of peace and relaxation. The entire structure is devoted to welcoming its guests, either for a pleasurable and restful holiday or for a visit to enjoy traditional local culinary specialties and products. 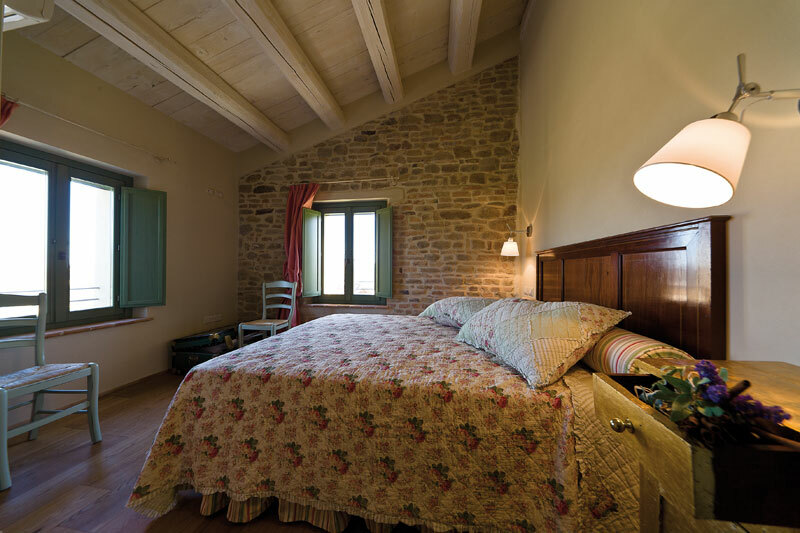 The family also have a beautiful guest house, the Strada dei Campioli, available for clients and guests which is situated on the Fiorini estate, the house has stunning views across 55 hectares of their vineyards and olive groves as well as landscaped gardens. 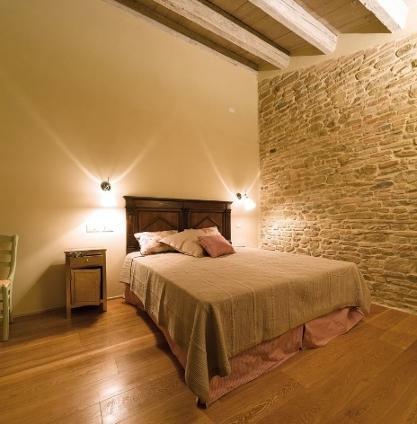 This lovely country house was completely restored just a few years ago to a very high standard of finish and offers guests a high standard of comfort as well as a superb restaurant and roof terrace with panoramic vews. 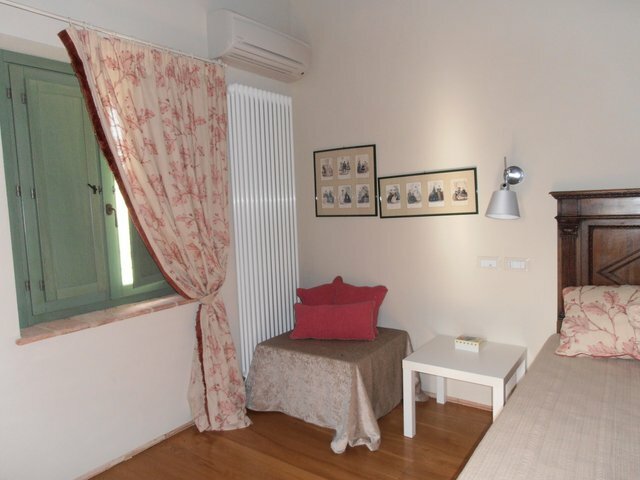 The five rooms, with antique furnishing and fittings from the same Fiorini family, give our guests the opportunity to experience the atmospheres of the past combined with the comfort of the modern era. 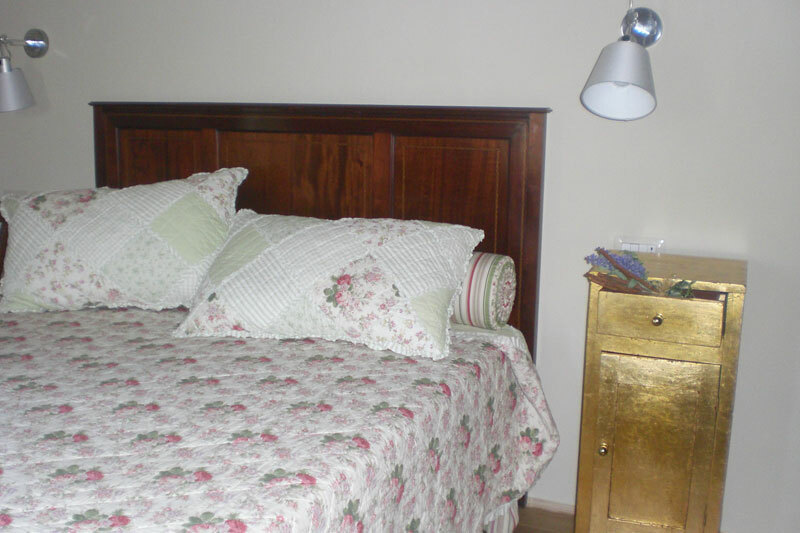 Each room is provided with a private bathroom with shower, air conditioning, Wifi internet service and TV, upon customer's request. The guests can also share the living room, where they can relax reading a book or chat with each other accompanied by a good glass of wine.